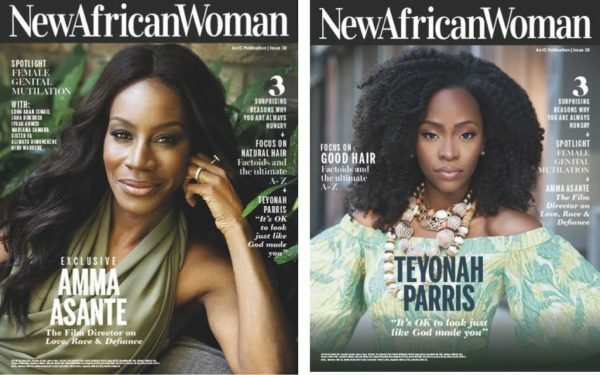 The August/September Edition of the New African Woman is out now, and it’s another double delight with two Covers graced by BAFTA-Awards winning filmmaker and director Amma Asante and US actress Teyonah Parris, as the magazine launches its own Call-To-Action against harmful traditional practices and gender-based violence in Africa, beginning with a spotlight on African female voices against Female Genital Mutilation (FGM). 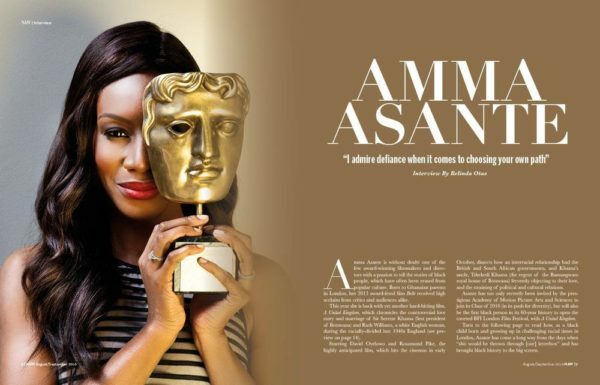 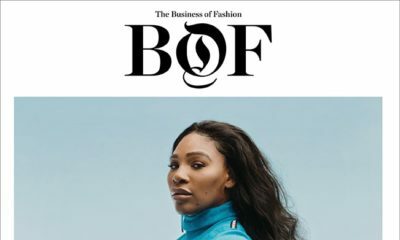 Continuing with its new series highlighting Black/African women excelling in male-dominated fields, one of the Covers features the Bafta award winner – Ghanaian/British Film Director Amma Asante. 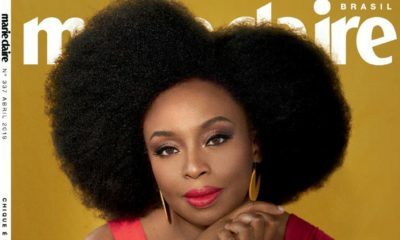 And with the unstoppable rise of the natural Afro hair movement, the second Cover features American actress and Afro-naturalista Teyonah Parris. 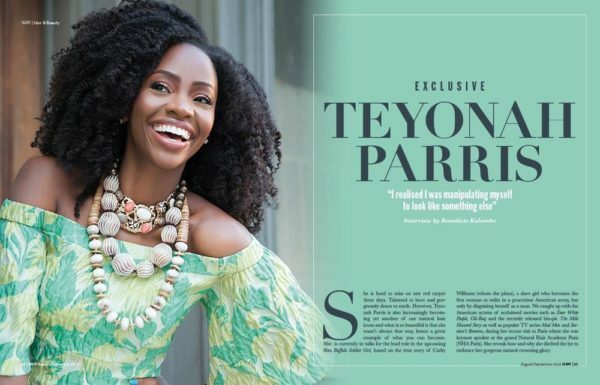 In an exclusive interview with the magazine, the Dear White People and Chi-Raq actress stresses on the importance of self-love and acceptance.